Darrell Thorp is no stranger to Grammy awards. In previous years he won for albums with Radiohead, OutKast and Switchfoot. Last year he garnered a Latin Grammy for his work with Molotov. Still he wasn’t expecting what happened this year: three more Grammys for Beck’s "Morning Phase." Audiofanzine spoke to Thorp a week or so after the Grammys, and he talked about a variety of subjects including Morning Phase, his gear, his mixing workflow; and the techniques he uses for panning, EQ, and ambience effects. I noticed there were a number of engineers listed on the Grammy for Best Engineered Album for Morning Phase. What was your role specifically on the album? I was basically the main recording engineer. I did all of the tracking for that record, including a lot of the overdub recording. It was a big team effort and I was grateful to work with the other talented engineers on the record. One song, or maybe two, I can't remember, down at Blackbird in Nashville. And then we came back to L.A. and recorded at Ocean Way — which is now United — Sunset Sound and Capitol. The majority of the overdubs, vocals and things like that were done at Beck’s studio in his house. Would you say the larger percentage of your work overall is mixing or tracking? The largest part is mixing. 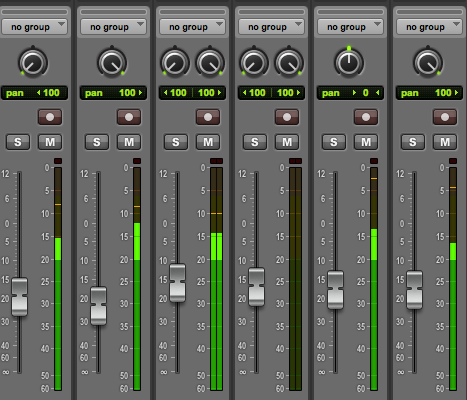 I’d estimate that maybe 75 or 80 percent of my work is mixing and 20 or 25 percent is tracking. What does it feel like to win a Grammy? All of us aspire to that, and I imagine it's really exciting. It's a crazy feeling. It's definitely an honor. It was a crazy adrenaline rush, too. I was so nervous, especially with the Best Engineered Album category. And then they said "Morning Phase," and it was just like, “Are you kidding me?" Besides Best Engineered Album, what were the Grammys you won for Morning Phase? Best Rock Album and Album of the Year. Who were the musicians on the album? It was Joey Woronker and James Gadson And Matt Sherrod [drums], Matt Mahaffey [organ], bass was JJ — Justin Meldal-Johnson. Keyboards were Beck and Roger Manning. Guitars, acoustic and electric were Beck and Smokey Hormel. And then we did a couple of rounds of string overdubs. David Campbell, who is an amazing string arranger, did all the string arrangements. So you brought in real string players? Yes we did a couple of different sessions with a few string sections. What instruments did you record for basic tracks? Drums, bass and acoustic guitar, sometimes an electric guitar, and sometimes Beck would be singing live. Yes, usually a scratch or a guide. Typically, when you're doing a tracking session, how many mics do you use on a drum kit, or does it depend on the drummer? I'm pretty much a minimum-miking guy. I usually just do kick, snare, rack tom, floor tom and mono overhead. Plus I do a kick sub, that's six. It’s interesting that you use a mono overhead. I've talked to other engineers who do minimal mic setups who use stereo overheads and try to get the bulk of the kit sound from them, and then supplement with the individual mics. But it sounds like you're going the other direction. Yes, I feel like less is more. What mic do you typically use on the snare drum. It's amazing that a $100 mic is the “go to”snare mic for so many engineers. It does depend on the drummer. I'm working with another band called Lake Street Dive. I was able to get my hands on a Lauten [Audio] Atlantis, which is a large-diaphragm mic, kind of modeled after a U47 tube, I guess you'd say, but it's not a tube mic. And I was using that on the snare and it was amazing. The drummer in Lake Street Dive Mike Calabrese isn't a loud player. He's a moderate hitter, and he's got great feel and great touch. Because he didn't hit too hard, the Lauten mic didn't overload? I wasn’t concerned with overload, it was the bleed. If you had a drummer who was a basher, I just don't think it would work. I'm always going for a highly directional mic with a heavy-hitting drummer. Didn't the Lauten also have a cardioid pattern, like the 57? So why would the amount of bleed differ? Yeah, but if the drummer is a basher, I'm always worried about a lot of hi-hat bleed in the snare mic. Because Mike has such a light touch it was just dreamy, amazing. Do you still have your own studio, Studio 101? Yes. My partner and I share the studio. 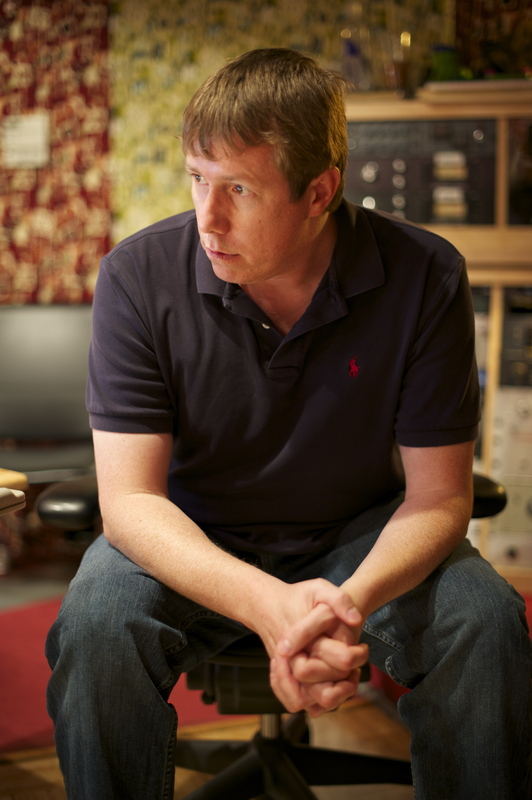 His name is David Ives and he's an amazing mastering engineer. David has his room for mastering and I have my room for mostly mixing. I understand you use a lot of Universal Audio UAD-2 software. What do you run it on, an Apollo? I don't use an Apollo or anything like that, because I'm on a Pro Tools HDX system. So I need an Avid I/O in order to utilize the HDX. I have two UAD Octo cards in my computer. What are your “go to”UAD plug-ins? I mostly use the 1176 Revision A. I also use the Neve 1073. It's incredible. It is a DSP hog, though. My favorite preamp is a Neve, a 1073, 1081, 1272, it doesn't matter. Give me one of those three options and I am happy. And then my favorite EQ is always API. So I float between the 1073 and the API 550 plug-ins a lot. The 1073 plug in instantly gives a nice flavor to the sound. Correct, the tone is incredible. Do you use any of the UAD tape emulations like the Studer A800? Yeah. I do use the Studer A800 on drums. Once in a while, I love the ATR-102 on the stereo bus. I always put it on, and sometimes I feel like it doesn't fit the material, and I don't use it, but sometimes it does. What about any of the UAD bus compressors? The Fairchild is amazing on the bus, so is the 33609. Do you ever use UAD's SSL bus compressor? I use it once and a while. More so, I use the SSL E Channel Strip, which I'm pretty sure is the new one. They had the G series for a while, and then they came out with the E, and that's my favorite on drums. I usually go to that one for my kick, snare, and cymbals. I try to use the same plug-ins on my drums when mixing. It doesn't always have to be the same, but in the past I’ve found that with hardware processors, that it’s better to use the same EQ and compression per instrumental group — and I'm sure it's the same way with emulations. Because each processors' electronics works a little faster or a little slower, so if you’re using different ones on different drum channels, it starts to get a little smeary to me, it loses a little bit of attack. So if I start with one particular item, I stick with that across the board when it comes to the drums. So in other words, because you're inserting the same plug-in on each drum track it doesn't smear it as much? Yeah, because I feel that it works that way on a console. A long time ago when I'd go into a studio and the console preamps weren't desirable for tracking, I'd go, "OK, put this mic pre on the kick, and this mic pre on the snare." And somehow, I'd find everything being sort of convoluted in a weird way. It would still sound good, but it was just a difference of speed and to me, the pre and the EQ would change how the drum mics reacted. That makes sense, because it's coming through a consistent type of electronics. Several engineer friends that I've talked about it with all say to me, "I totally agree with you on that." I usually try to stick to that rule as well when it comes to mixing. "I usually don't like reverb on drums. I hear the abuse of reverb from the '80s, the hair metal days. Oh God, please, it just makes me sick"
Do you use any hardware processors at all still? I use a little bit of stereo bus compression once and a while, and then lately I've been getting into these hardware units called Overstayer. They're really extreme compression/distortion racks, but they're still musical. The one I'm really into is the NT-02A. So I get a sound on that and use it on a drum, and I'll just print it back in, so I don't have to worry about recalling. Let’s talk about your mix workflow. 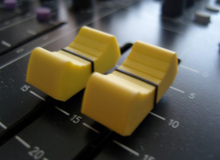 Do you generally start with all faders down, and everything zeroed out? What's your philosophy about starting a mix? It depends on the project, it's definitely on a case-by-case basis. Usually I start from scratch. I build it up. 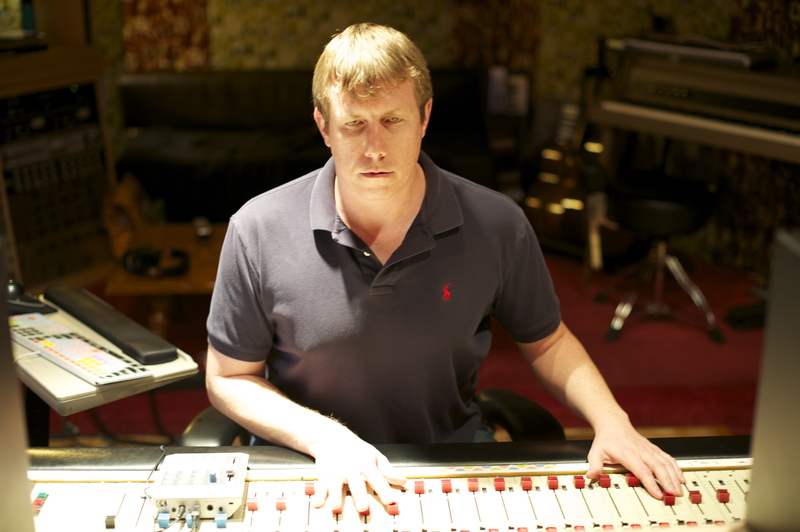 I always like to get a rough mix from somebody as well, to hear what they were looking to do. What instruments do you work on first? I start with drums, bass, then get some guitars in or some sort of the more melodic elements, and right about the time I do that, I start putting the vocals in, as well. And then I start building up stuff around the vocals. I find that works. Years ago, I used to wait until the last bitter minute to put the vocal in, but that doesn't work. Do you start panning stuff right away, or do you try to get a mix going with everything up the middle and then start panning? How do you approach that? I'm panning right away. And I'm a hard panner, too. I don't pan, say 10 and 2 o’clock. I pan left, center, right. Doesn't that make it harder to create space for an instrument or vocal track? No, I find that it doesn't. 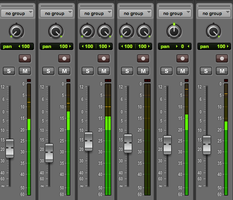 With the mixes that I'm doing, there are usually not a whole lot of instruments. That's not always the case, but the majority of material is usually drums, bass, one or two guitars and maybe a third guitar or something; and a piano, an organ and a couple of vocals. Usually really simple instrumentation. If I'm having panning issues with a couple of instruments, I'll try swapping the panning on them. Sometimes if one thing is getting in the way of another, I'll EQ them differently. If they're panned on the same side, one will have more bite, so I'll just make that one even more bite-y. I'll emphasize the upper mids to make it have its own space, for example. I see the point when there are a lot of stereo tracks. Those have information all over the sound field. But with mono sources, you'll still put them only hard right, hard left or center? Do you do a lot of high-pass filtering to get rid of unnecessary bottom end? I don't. The only thing I really do it on is vocals, honestly. Maybe sometimes around 50 Hz, a little bit. I have noticed that many mix engineers do a lot of high-pass filtering. I kind of just scratch my head and think that they're losing a lot of low end information that’s naturally there. So you don't think it helps get rid of clutter? No. Maybe I'm controlling it in a different way. I pretty much compress everything, so maybe that's where I feel like I'm getting my tightness from. But of course, if it's something that's really wooly or booming sounding, than yeah, I'll start reaching for my high pass. What about ambience effects on mixes. Do you tend to do a lot of delay or reverb or both, or does it all depend on the song? Yeah. They definitely were a little heavy handed. I always feel like the band should be drier. It doesn't necessarily have to be completely dry. And then the vocals can be sort of swimmy and wet, whether that's a combination of delay and reverb, or just delay or reverb. That's usually my thought process behind it. "Usually you're looking for a little bit of snare ambience and a little bit of kick ambience"
Anything else you do, ambience wise? 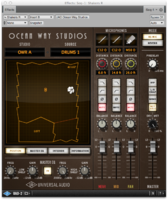 The UAD Ocean Way plug-in is incredible. In what way do you use it, typically? I usually put drums on it, if the room they were recorded in was just terrible, and I'm trying to get a little bit more ambience. So do you insert it on the whole kit via a drum bus? I put a send on my drums — that way it's great, because then I can control the amount. So you can dial in as much of it as you want. Yeah. 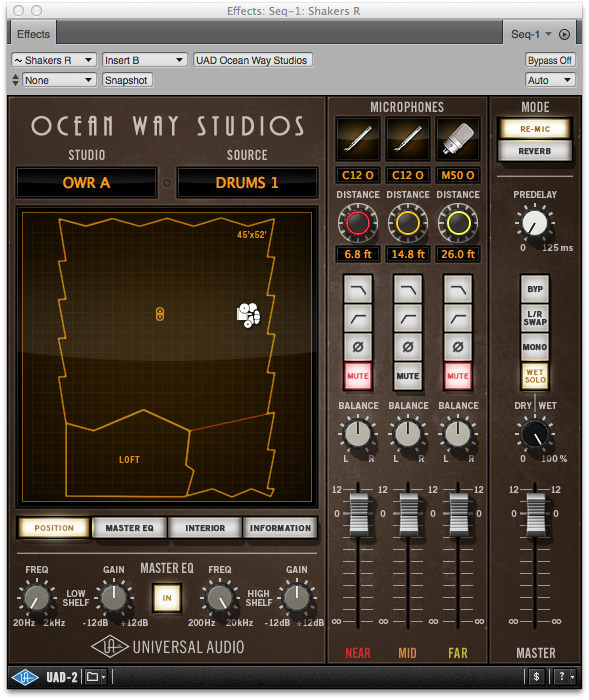 Usually you're looking for a little bit of snare ambience and a little bit of kick ambience, but too much on the cymbals and it gets all tinny and splashy sounding. So you can just put a little bit of cymbals in there to make it sound kind of natural. Since the plug in is on an aux send, you can blend it in and compress it to your liking. It's amazing. How do you know when your mix is done? Do you usually just know it, or do you sometimes go past that point, and have to come back to a previous save you made from a couple of hours before, or something? In some ways it's a crutch. I travel a lot, and sometimes I find myself thinking, "How could I ship my car? Nah, that's ridiculous." [Laughs] When I travel, I feel like I always fight bass management in unfamiliar rooms. And at least in my room, I feel like I get the bass management right the majority of the time. But there are occasions when I don't get it spot-on the first time, even though I know the room really well, and I feel comfortable in there. I just miss the mark, but I'm not way off. It's like a couple of dB up or a couple of dB down. Why is the bass level so difficult to get right in a mix? It seems like everyone has issues with that. Everybody has that problem. The only room that I ever felt really comfortable in was Ocean Way, now United Studio B. At Amerycan in the Valley, I don't know if it's Studio B or Studio 2 that I worked at a couple of times, but there's something about that room that feels so spot on. What monitors do you use the most in your studio? I have these English speakers called Acoustic Energy. 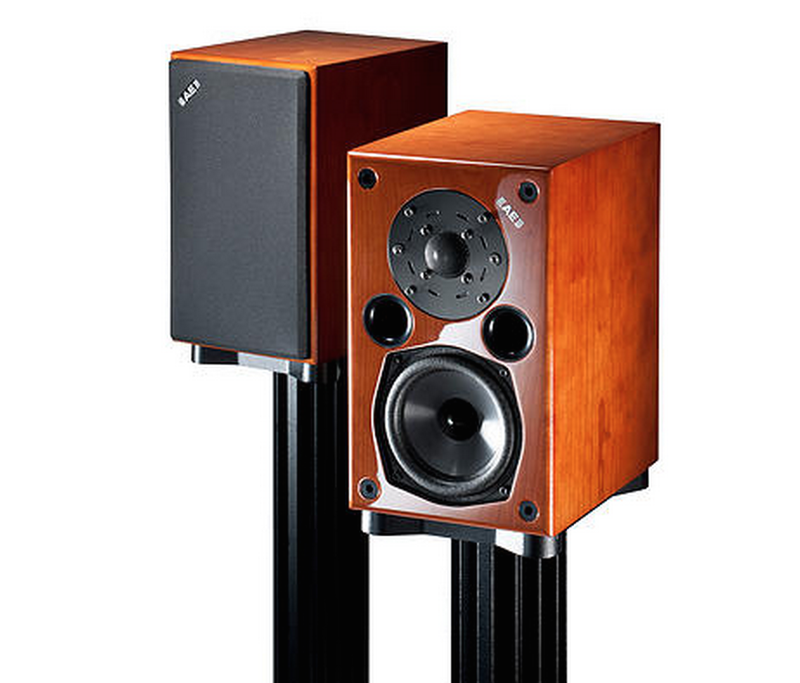 They're the AE1 Classic model. How big are the drivers, 8-inches? So you use a sub woofer? Really? And do you have larger speakers that you listen on? I do everything on those, and I have little Bose computer speakers, because everyone's listening to stuff on computer speakers. And you don't worry that you're not able to hear low end stuff that's going on lower than the range of those 4-inch drivers? No. They surprisingly push out an incredible amount of low end.